Mega Ms. Webby is here! Mega Ms. Webby is available in store now! We'll be shipping Kickstarter Mega Webbys first, new orders will be right behind! Next chapter will start next week! Howdy folks! 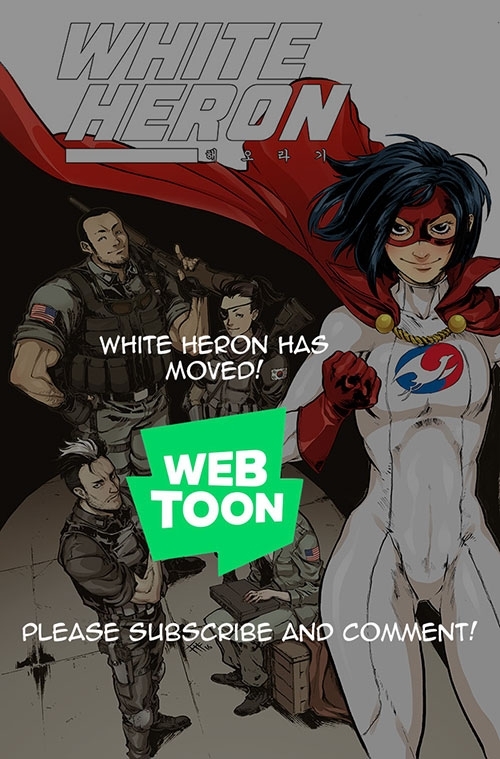 We've decided it was time to move White Heron to a website of its own, you can read it over at Webtoon! We're also entered in the contest for best new webcomic! The grand prize is $80,000, which would be absolutely tremendous to help us bring more White Heron to you! 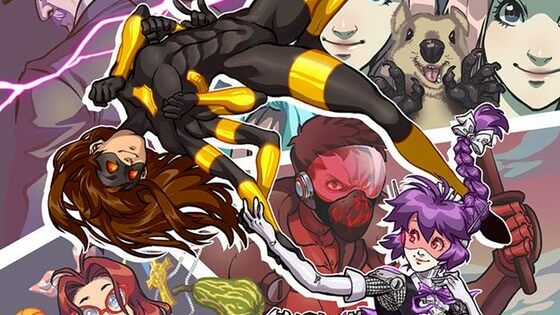 So please, comment, subscribe, and like our comic on Webtoon! Book 6 pre-orders are here! Get it at Backerkit today! We hit our Kickstarter stretch goal for cosplay photos, here they are! Special thanks to #1 Spinny fan WaterWriter144 and awesome photographer Jynx! EDIT: Need to credit two more photographiers! Jacob Feldman and Truly Perceptive! EDIT 2: Behind the scenes video! Sorry for the late update guys, I had some unexpected travel, and forgot to pack my laptop! We'll be back to Spinnerette shortly! I'm enjoying the hell out of my freedom this Memorail Day weekend, and I'm eternally grateful to those who have sacrificed for it. 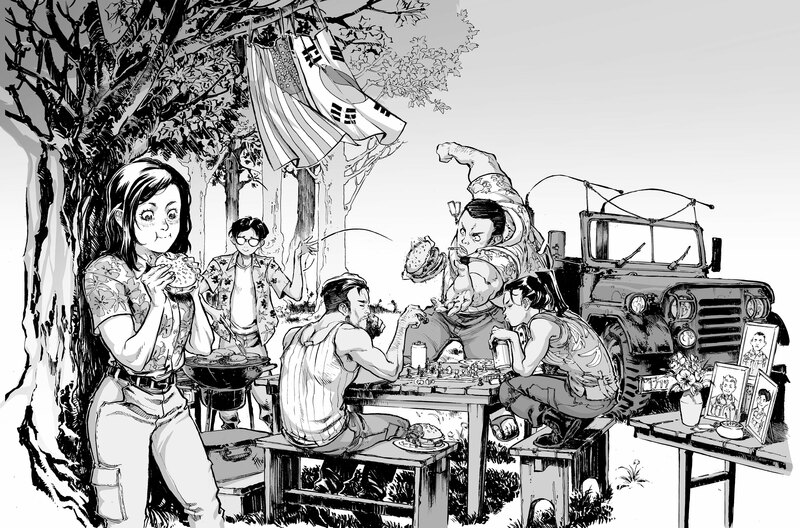 EDIT: Updated the desktop with the greyscale version. 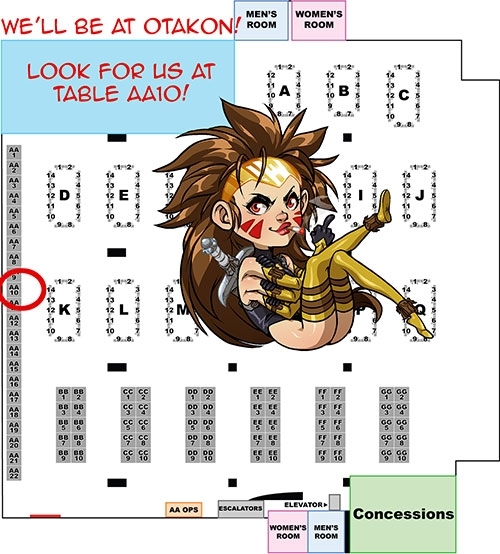 We'll be in the AA at Fanime, at table 310! 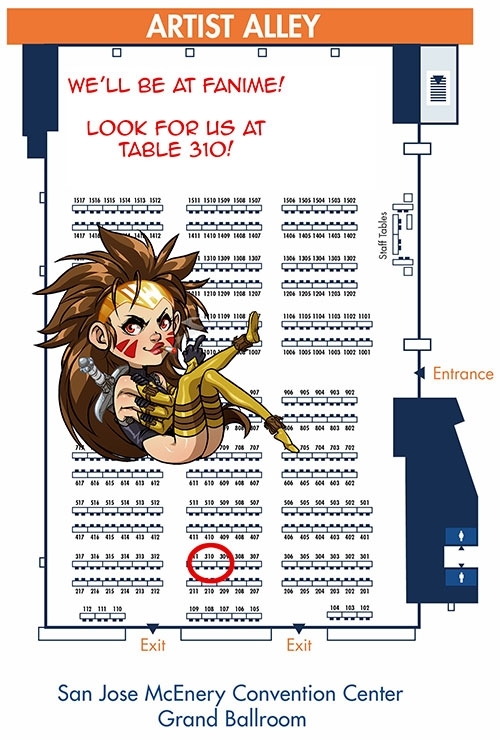 We'll at Anime Central in the Exhibitor's hall! 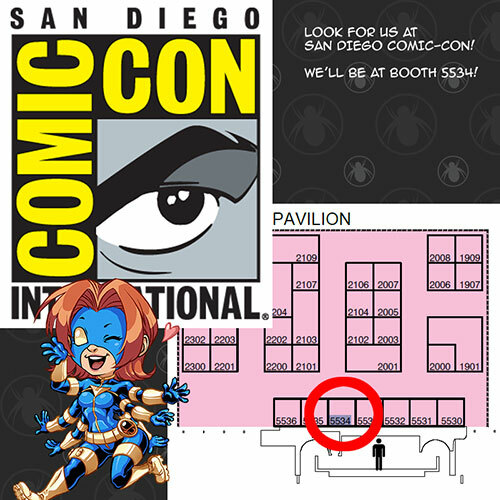 Look for us in booth 610!